The earth is divided into lines of longitudes and latitudes. Since Iceland is on the west side of the prime meridian it is said to be located at west longitude. 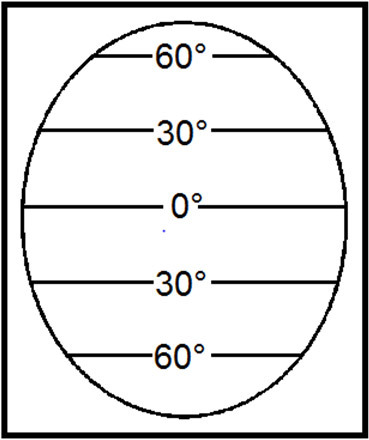 The image here below shows lines of longitudes and latitudes. Iceland is to the north of the equator, which is why we talk about that Icelandic waters are located on north latitude. The circles of latitude are 90, counted from the equator to the North Pole. The circles of latitude are also 90 counted from the equator to the South Pole. 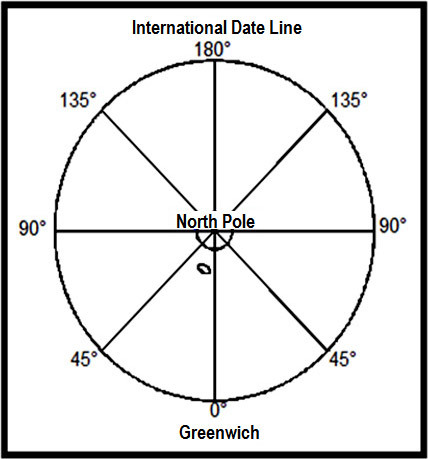 The circle of latitude ranges from 0° at the equator to 90°at the North Pole; the same applies to the South Pole. On the equator are 110.57 km between the latitudes, but 111.7 km by the poles. This is because of the shape of the earth. Our earth is not completely round; it resembles more the shape of an egg. 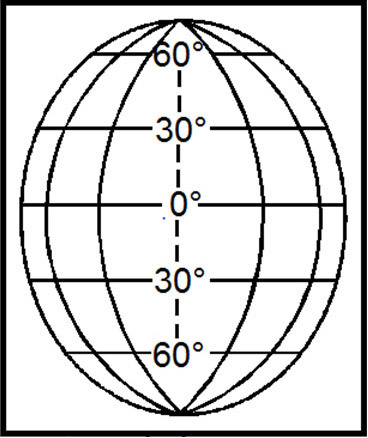 The meridians of longitude are semi-circles drawn perpendicularly to the equator. Meridians of longitude are great circles. The zero degrees longitude lies through London, through Greenwich to be specific, and are 180° both to the east and the west. The International Date Line is 180° from Greenwich and there the time moves forward or backwards a day when crossed. The earth is divided into 24 time zones, and when travelled to the east the clock moves one hour forward for each meridian of longitude which are 15° apart. Iceland is located 15° to the west of the prime meridian; nevertheless Icelandic time is the same as Greenwich Mean Time. The reason for that is a special exception which was agreed early in the last century.